Like a lot of guys, we bought a small Sherline machine for making precision parts. Because we were building high end superchargers for cars, we needed tight tolerances (the parts spin up to 180,000 rpm). However, we just couldn't get the accuracy we needed with the stock Sherline lathe. In fact, it was tremendously frustrating. So, we decided to build our own headstocks using custom ground ER spindles. We where shocked by the level of accuracy we ended up getting out of our custom headstocks. Our products could be machined on a micron level. Soon, others were asking if we could make them a custom headstock. We now sell all over the world for production needs, laboratories, R&D departments, government use, colleges and the list goes on. If you're looking for the ultimate in Sherline or Taig precision...you've just found it! Next on the list of upgrades was the motor. It didn't take long before we discovered that the Sherline motor was under powered (and got way to hot). It's the same story with the Taig motors, not enough power. After our own testing and feedback from customers, we now offer our custom manufactured commercial grade continuous duty rated 750 watt and 1,200 watt motors and drivers. 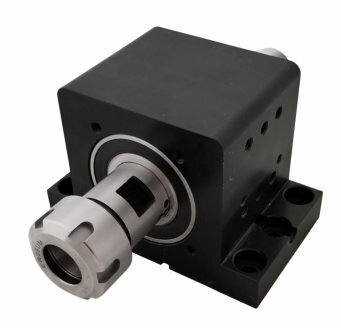 They are CNC controllable and we also offer an optional manual control box. See our store for more information.